We all know and love the moon. We’re so assured that we only have one that we don’t even give it a specific name. It is the second-brightest object in the night sky, and amateur astronomers take great delight in mapping its craters and seas. To date, it is the only other heavenly body with human footprints. So Cruithne is our second moon. What’s it like there? Well, we don’t really know. It’s only about five kilometers across, which is not dissimilar to the dimensions of the comet 67P/Churyumov-Gerasimenko, which is currently playing host to the Rosetta orbiter and the Philae lander. If Cruithne struck the Earth, though, that would be an extinction-level event, similar to what is believed to have occurred at the end of the Cretaceous period. Luckily it’s not going to hit us anytime soon — its orbit is tilted out of the plane of the solar system, and astrophysicists have shown using simulations that while it can come quite close, it is extremely unlikely to hit us. The point where it is predicted to get closest is about 2,750 years away. As I said before, it wasn’t until the end of the 20th century that we even realized that bodies would enter such weird horseshoe orbits and stay there for such a long time. The fact they do shows us that such interactions will have occurred while the solar system was forming. Because we think terrestrial planets grow via collisions of bodies of Cruithne-size and above, this is a big new variable. One day, Cruithne could be a practice site for landing humans on asteroids, and perhaps even mining them for the rare-earth metals our new technologies desperately crave. 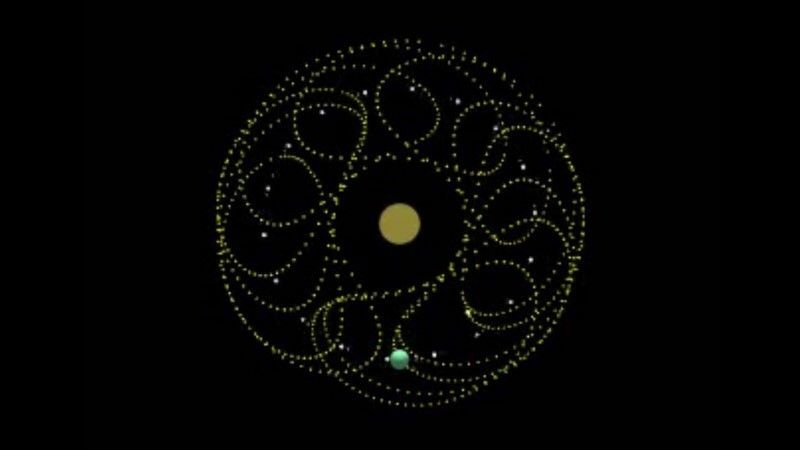 Most importantly of all, Cruithne teaches us that the solar system isn’t eternal — and by extension, neither are we.